Carnival Cruise Line recently took its top Aussie and Kiwi travel agents on a 6 day cruise on Carnival’s newest ship, Carnival Horizon. 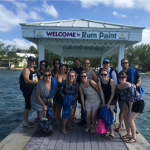 The perfect wrap-up to end a busy 2018, the famil saw lucky travel agents cruise from Miami to the palm-lined beaches of the Western Caribbean including Grand Cayman, Cozumel and the Jamaican port town of Ocho Rios. 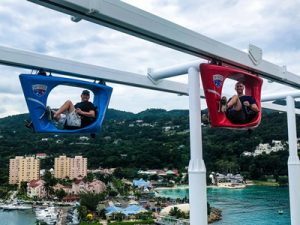 Onboard, the agents experienced the best the newest ship in the Carnival fleet had to offer, including peddling the SkyRide high above the blue seas, IMAX, Dr Seuss WaterWorks and the Carnival SkyCourse – a ropes challenge sky-high above the ship. Agents also got to experience VIP dining at speciality restaurants including Cucina del Capitano, Ji Ji Asian Kitchen and Fahrenheit 555. 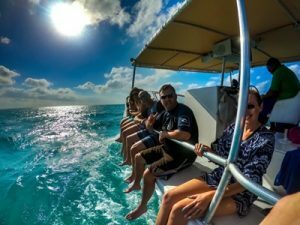 During shore excursions, they soaked up the sun in Rum Point Beach, sailed through the blue waters in Grand Cayman and enjoyed the pre-festivities in Cozumel and Ocho Rios in Jamaica. Carnival invited agents on this famil as an incentive for achieving exceptional results promoting the brand’s international product in 2018. What a way to end 2018!